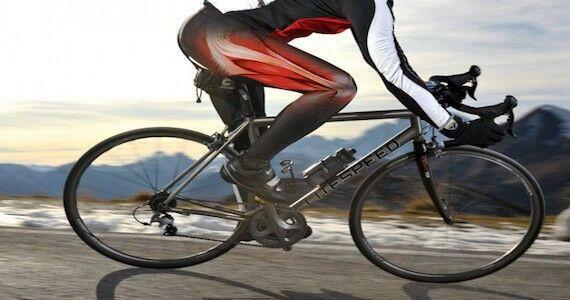 Lateral knee pain is a common complaint from cyclists and often a result of ITB aggravation, with tight Tensor fasciae Latae (TFL), ITB flicking over the femoral condyle, or ITB pulling the patella laterally as a result of Vastus Medialis Oblique (VMO) weakness. Did you know the issue to your lateral knee pain may be occurring from above and/ or below the knee? Often poor core and hip control, along with incorrect cleat position can easily aggravate your lateral knee pain. One hot tip is to release your TFL. You can effectively complete this using a foam roller or spiky ball. Lie on your side and place the foam roller or spiky ball underneath your affected hip. Cross your top leg over the bottom leg and use that cross-over leg to help move you back and forth. You can also apply sustained pressure on any trigger points found for 20-30 seconds before continuing. Aim to complete this once daily for five minutes if symptomatic.